Single-lever bidet mixer with adjustable aerator and without pop-up waste. 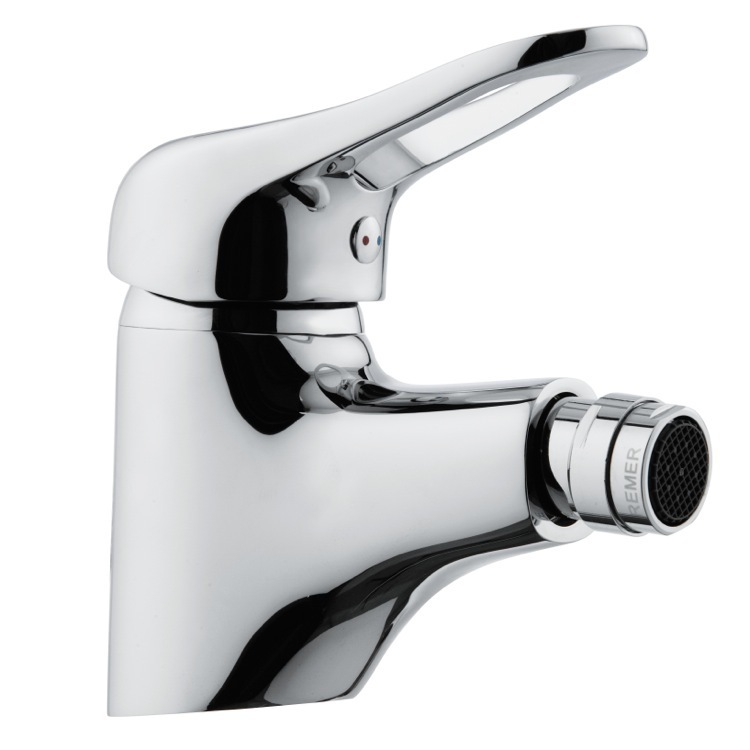 This is a deck mount bidet faucet that comes in a shiny chrome finish. It is made from brass and is made in Italy by Italian designer Remer. 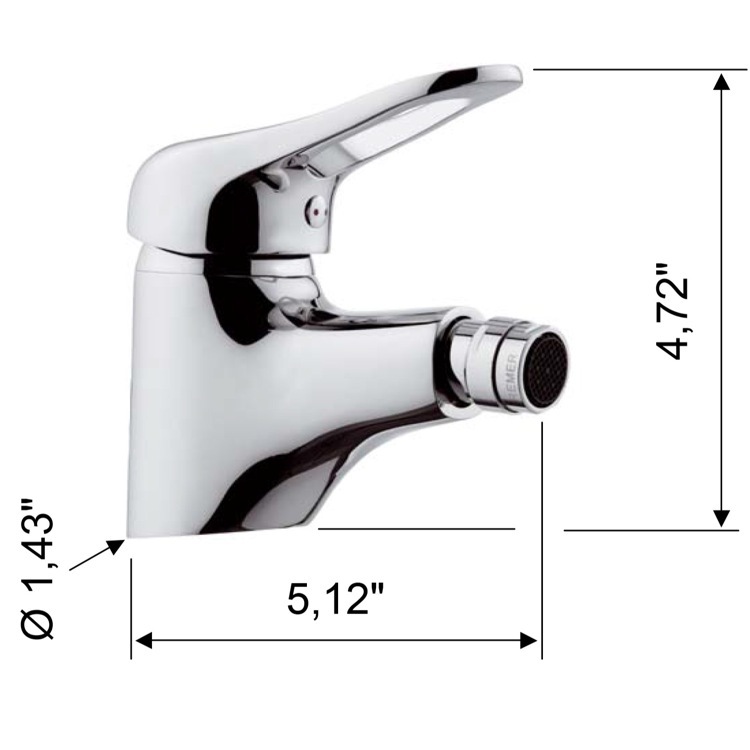 This is a modern style bidet faucet and will look fantastic in your master bathroom.